a cute and cuddly cow! The kingdom is in trouble! Giant Blunderbore and his partner in crime, the evil witch, Poison Ivy are blackmailing the royal family, forcing them to pay protection money or else the Giant will gobble them up! All that stands between the Royals and the Giant's dinner plate is collection of unreliable misfits! 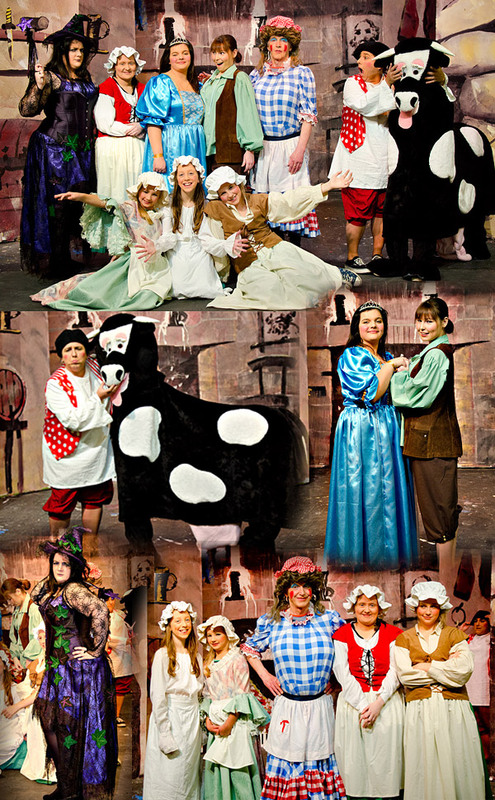 Our 2013 pantomime was jam-packed with jokes, slapstick, gunge, loveable characters and all the magic of traditional pantomime with enough audience participation to leave you hoarse by the end of the show!